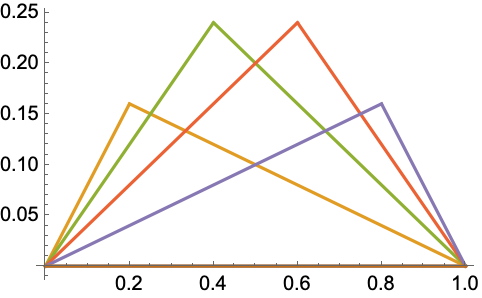 gives a Green's function for the linear differential operator ℒ with boundary conditions ℬ in the range xmin to xmax. gives a Green's function for the linear partial differential operator ℒ over the region Ω.
gives a Green's function for the linear time-dependent operator ℒ in the range xmin to xmax. gives a Green's function for the linear time-dependent operator ℒ over the region Ω.
GreenFunction represents the response of a system to an impulsive DiracDelta driving function. GreenFunction for a differential operator is defined to be a solution of that satisfies the given homogeneous boundary conditions . A particular solution of with homogeneous boundary conditions can be obtained by performing a convolution integral . 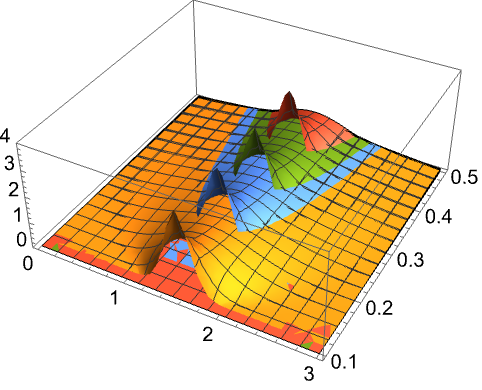 GreenFunction for a time-dependent differential operator is defined to be a solution of that satisfies the given homogeneous boundary conditions . All the necessary initial and boundary conditions for ODEs must be specified in . Boundary conditions for PDEs must be specified using DirichletCondition or NeumannValue in .